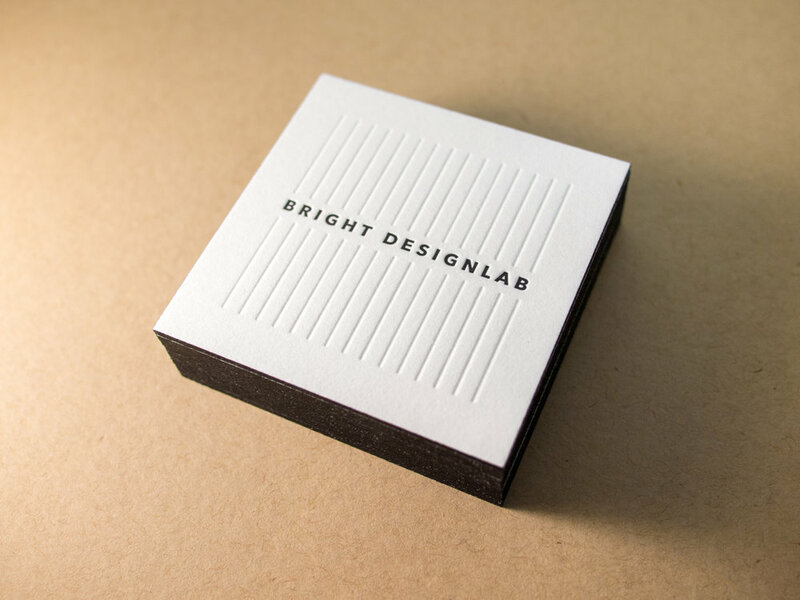 Duplexed, edge-painted, blind-debossed business cards for Portland's BRIGHT DESIGNLAB. 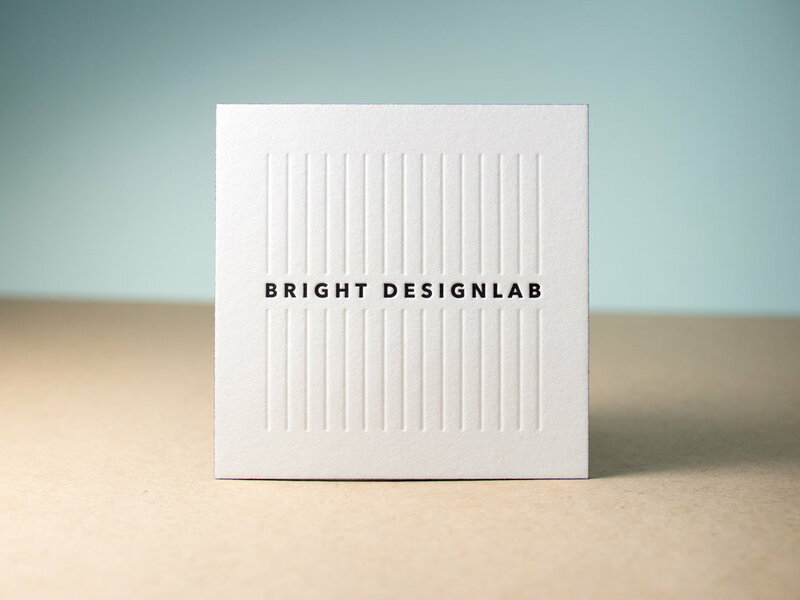 Since the subtlety of the blind-pressed pattern on the front of the card is crucial, we couldn't press both sides of the paper. So we printed the front and back on separate 300g sheets, the glued, trimmed, and edge-painted. 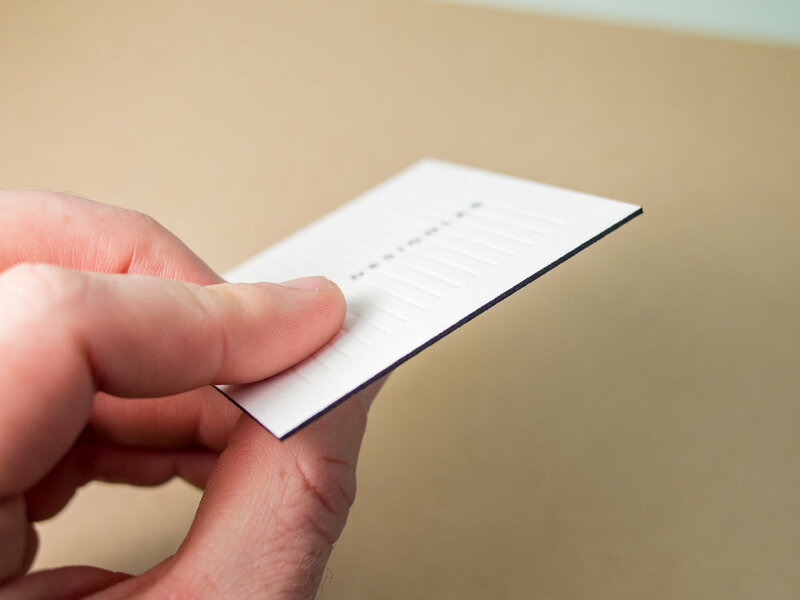 Posted in business cards and tagged with black, pearl white, 600g, duplex, edge painting, square, blind deboss, interior design. October 12, 2017 by Travis Friedrich.